In this earlier post on imaginED I introduced the idea of lifewide learning and how such an inclusive concept of learning could be encouraged, supported and recognized through a lifewide curriculum. It is interesting to note that this concept emerged from the work I was doing in the early 2000’s to develop understandings about how universities and colleges could encourage and support the creative development of learners, as well as their academic development (1). The idea was later developed and implemented through a curriculum experiment at the University of Surrey (2, 3). To encourage and value the diversity of learners’ imaginations and creativity I believe we need to look beyond the academic curriculum and be mindful of Teresa Amabile’s criticisms. ‘We hardly ever pay attention to intrinsic motivation, which is the driving force that actually makes creativity happen.…. It’s absolutely crucial to set up [an] environment that supports intrinsic motivation and supports people developing their talents. It should be an environment that’s going to give people a good degree of autonomy’ (4). The higher education curriculum is an environment that seeks compliance and conformity and the amount of autonomy for self-expression is often severely restricted by the norms of self-expression accepted in the academic forms of the discipline. So we have to think more expansively than the traditional academic curriculum if we are to nurture learners’ creativity. The idea of a lifewide curriculum is proposed (1:11) as a concept for a higher education curriculum that maximises opportunity for embracing the most inclusive concept of learning: a concept that explicitly recognises and values a learners’ use of their imaginations and creativity. While there are common character traits that we associate with creativity, being creative is domain specific (5) and just because person is creative in one domain does not mean they will be creative in another. A lifewide curriculum maximises the number of domains and contexts in which a person can develop and demonstrate their creativity. I argue that a life-wide curriculum would support creativity in three different ways. A) In the forms that are necessary to be successful and innovative in the academic disciplinary or interdisciplinary domain, B) In the forms that are necessary to be successful and innovative in any professional/work domain which a learner might be preparing for, and C) In the forms of self-expression that learners chose for themselves in their lives outside the performative academic and practice curriculum. 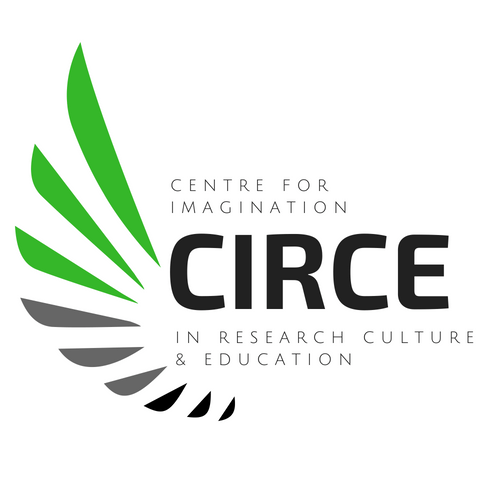 This domain is particularly rich in affordances and possibility spaces and it is this domain that is most difficult to honour and recognise learning and creative enterprise. All three domains contain different forms of and contexts for social practice, all can potentially involve students in using their imagination and creativity and all require participants to be engaged in evaluating and making judgements about creativity. Lifewide education aligns with Imaginative Education in important theoretical and practical ways. They complement each other, together providing a fundamental canvas for imaginative and emotional engagement in teaching at all levels of education and for learners’ engagement with their whole intellectual, emotional, practical and virtual world while they are experiencing formal education. Engagement happens by equipping learners with the cognitive tools and encouraging emotional connections with all that is being learned. For example, the very idea of a Walking Curriculum (6)—an example of Imaginative Ecological Education–connects in a deep and meaningful way to the affordances provided by a lifewide curriculum: such a strategy for engaging all a person’s senses and their perception, imagination and reasoning could be implemented in any of the curricular domains shown in the lifewide curriculum diagram. All it takes is a little imagination. The following list outlines emerging propositions for an imaginative lifewide curriculum that would help learners use and develop their imaginations and creativity together with the multiple forms of knowing, skills, capability, qualities and dispositions necessary for being successful, effective and fulfilled in a complex, uncertain, changing and sometimes disruptive world. Ultimately, it is the totality of a person’s lived experiences and their reflections on their experiences that creates a life of purpose and meaning. 10. encourages and enables learners to be wilful, self-directed, self-regulating, self-aware and reflexive so that they develop a keen sense of themselves as designers/authors and developers of their own lives appreciating their learning and developmental needs as they emerge. 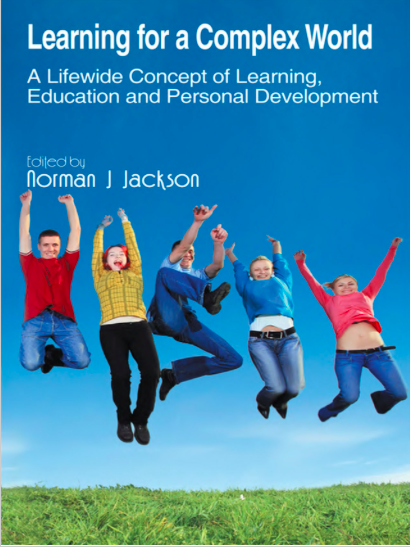 More recent work to understand the nature of learning in all these different contexts and situations is leading me to develop an ecological theory of learning, personal development and achievement (7) so I would now include an additional proposition. 11. empowers and enables learners to create and implement their own ecologies for learning, personal development and achievement. The creation of an ecology for learning, itself requires imagination and creativity and ultimately such ecologies provide the basis for sustaining learning and achieving throughout an individual’s life. The default position in higher education, is that students themselves, create their own lifewide curriculum as they pursue their courses and develop their own interests in the spaces outside their course for example, by getting involved in activities organized by clubs, societies and communities, participating in part-time work or volunteering or creating their own projects around causes that are important to them. The argument for universities and colleges to adopt a lifewide curriculum is to show learners that their efforts to develop themselves and make a difference to the world is something that is valued and that learning they gain through these activities can and should be recognized. In this way higher education can demonstrate a deeper level of involvement in the preparation of learners for a lifetime of learning in a complex world. 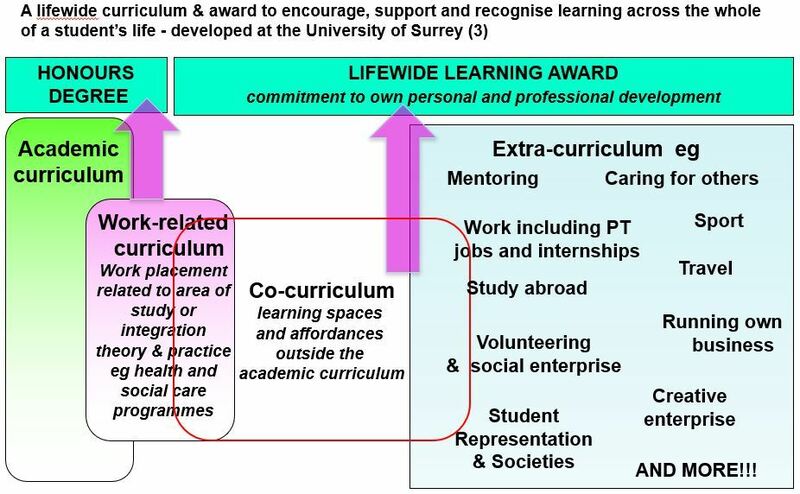 These ideas were developed and implemented at the University of Surrey between 2008-11 and the record of this curricular experiment, with examples of students’ involvement in a lifewide curriculum, can be found in our book Learning for a Complex World: A lifewide concept of learning, development and achievement. There are many ways in which a higher education institution can approach the recognition of learning through a lifewide curriculum. Issue #9 of Lifewide Magazine provides a synthesis of approaches being used and developed in the UK in 2014 (8). 6) Judson, G. (2018). 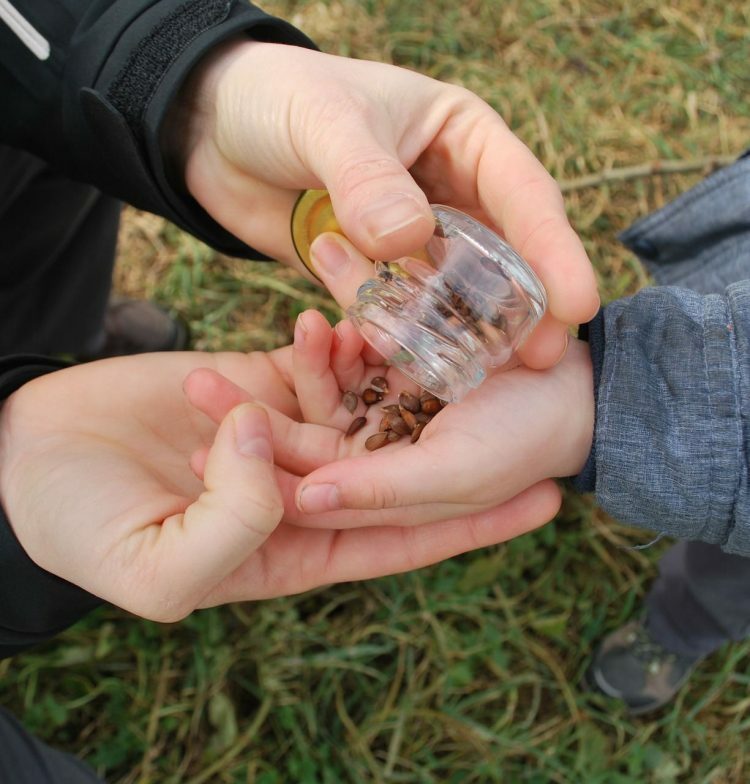 A walking curriculum: Evoking wonder and developing sense of place (K-12). KPD.